STUNNING INFA RED METALLIC. FULL BLACK/GREY LEATHER UPHOLSTERY. SATELLITE NAVIGATION. 19" POLISHED ALLOY WHEELS. HEATED ELECTRIC FRONT SEATS. FRONT AND REAR PARKING SENSORS. SIDE STEPS. CRUISE CONTROL. AIR CONDITIONING. JBL SOUND SYSTEM. ROOF RAILS. 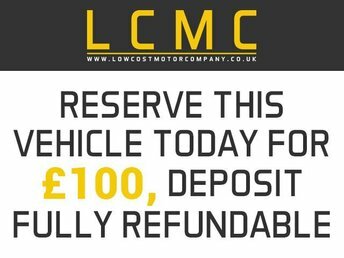 PLEASE GOTO www.lowcostmotorcompany.co.uk TO VIEW OVER 120 CARS IN STOCK SOME OF THE CHEAPEST ON AUTOTRADER. INFA RED METALLIC PAINTWORK. ONE OWNER. SAT NAV. 19" ALLOYS. CRUISE CONTROL. AIR CON. REVERSE CAMERA. SIDE STEPS. Fall in love with the sweeping lines and sporty attitude of the Kia Rio, discover the economical nature and rugged styling of the Kia Sportage or test drive the Kia cee?d Sportswagon with its spacious interior and impressive specs. 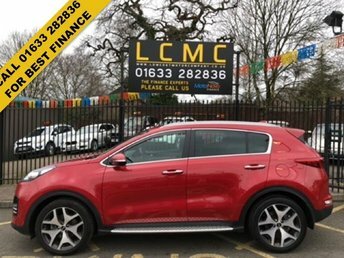 You'll find a superb range of used Kia cars for sale in Newport when you pay a visit to Low Cost Motor Company. We stock a wide selection of models to suit all budgets and all of our pre-owned cars are put through a thorough inspection process before arriving on the forecourt. Discover more by starting your search here on the website and contacting a member of the team in Newport for further information.